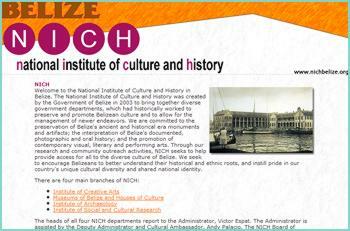 In Belize we know that there are 3 distinct Maya groups who speak 3 different Maya languages. In total, however, across Mesoamerica (Belize, El Salvador, Honduras, Guatemala and southern Mexico) there are 69 related Maya languages spoken by some 7 million descendants of the ancient Maya. 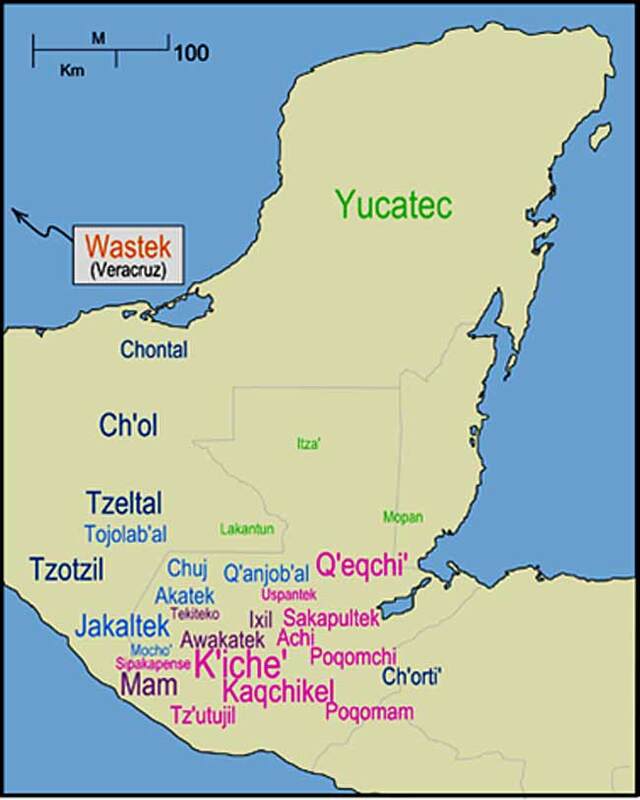 Q’eqchi (Kekchi) comes from the Quichean family of Maya languages from the Guatemalan Highlands. Maya Mopan comes from the Yucatecan family, along with Lacandon as well as Itza, which is a Maya language now extinct. 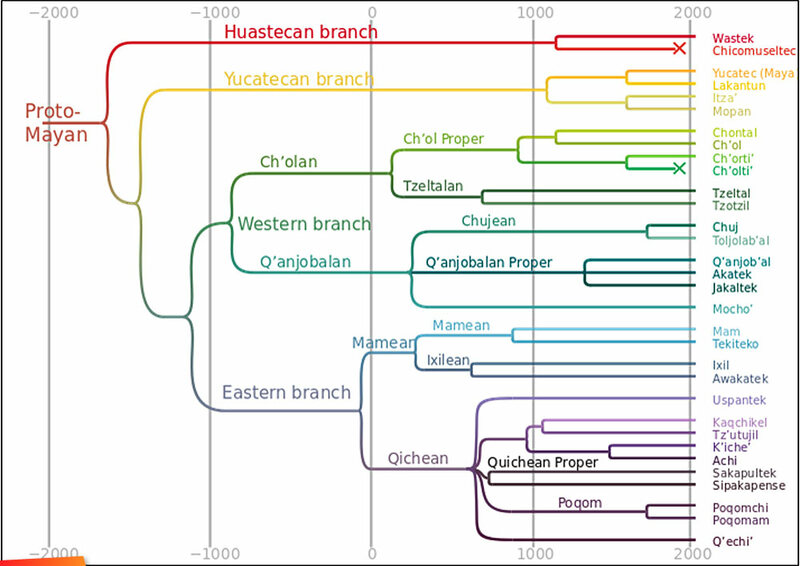 Two other extinct Maya languages include Ch’olti’ and Chicomuceltec. All the languages are believed to have originated from a common ancestral language known as Proto-Mayan which was spoken at least 5000 years ago by those who inhabited what was the known Maya world. Did you know that one of the earliest examples of Maya writing was found here in Belize? 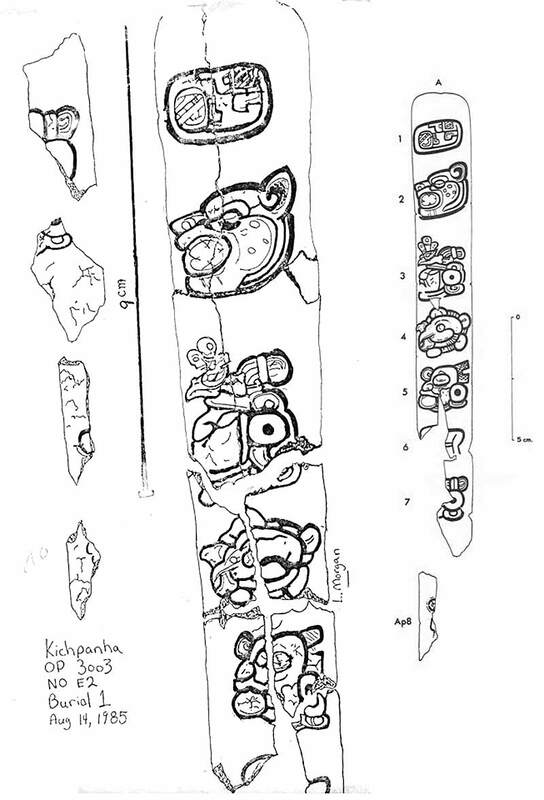 In 1985, at a site in northern Belize called Kichpanha, a carved bone was found that dated to the Late Preclassic between 100 BC to AD 150, placing if before any inscribed monuments found. 8 glyphs once decorated this finely carved rib that was found fragmented due to aging and weather conditions. This bone was probably used for bloodletting rituals and was possibly used by the individual it was buried with, and it is likely that the third glyph represented his name in the narrative presented.